I was really looking forward to immersing myself in Tsarist Russia and living and breathing the Russian court and culture, but sadly, this didn't happen. Aside from the traditional Russian naming conventions used*, I would have assumed the setting was England and the characters were all British. One of the reasons I love historical fantasy is because it allows for more interesting female roles than in straight-up historical fiction. I was totally on board with the idea of Katerina as a necromancer. But reading about Katerina the duchess who wants to be a doctor? Eeeeh, I'm having a MUCH harder time buying that. It's not that I'm against women doctors or the idea of a woman bucking society's expectations (Dr. Quinn Medicine Woman fangirl, right here! ), but I just couldn't believe that a duchess of that time period would be willing to throw everything away to become a doctor. And keep in mind, being a doctor wasn't a glamorous job then. Being a doctor was a perfectly acceptable career...for someone in the middle class. That Katerina was so brazenly gung-ho about it didn't ring true to me at all and made her seem spoiled and naive. Katerina seriously irritated me. She constantly contradicted herself by saying one thing and then doing something that completely undermined what she said. She never really acted like she wanted to be a doctor. Sure she talked about it a lot, but when actually placed in a situation where she could whip out her doctor hat, she seemed uncomfortable and clueless. Her crowning moment was squeamishly tying on a bandage. Forgive me if I'm unimpressed. Katerina pulled this "talk the talk, but not walk the walk" when it came to learning about her necromancy powers, too. She said she needed to learn more (and oh boy is THAT an understatement! ), but she then spurned almost every opportunity she was presented with. She pooh-poohed advice given to her to protect herself from magical threats because she refused to believe those threats could possibly exist. You're a necromancer, honey! Why is it such a stretch to believe Bad Magical People exist too? Her actions made zero sense to me, and yet I'm somehow supposed to buy that she's a smart cookie? I'm having trouble making the connection. Rejecting princess-ness and knocking everyone who enjoyed such things wasn't winning her any points with me either. I like balls and princesses and girly things like that. I'm also uncomfortable with people who elevate themselves by putting down others, and so I couldn't get on board with Katerina's constant scorning and belittling of her peers. The magical elements in some historical fantasies are integrated so well that I have to remind myself that the magical parts are not actually based on fact. That wasn't the case here. I was totally confused about the rules of The Gathering Storm's magical elements. Because the book is narrated by Katerina and she flat out refused to learn anything about the paranormal creatures, the rules surrounding them were extremely vague. 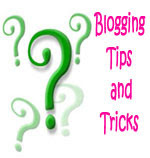 The who, what, where, when, why, and how of it all seemed muddy and inconsistent. For example, there were vampires, witches, necromancers, and a host of other paranormal creatures, and at some points it seemed like they were all "out" in society. But then other times it seemed like they were a big secret and the vast majority of people had no clue they existed. And if they found out, there would be DIRE consequences. So, um, which is it? I'm very confused. I was bogged down by the slow pacing and the endless balls that seemed to serve no purpose to the overall plot (and I usually like balls). My inner child even piped up a few times to whine "Are we there yet??" I suspect The Gathering Storm has come down with a serious case of series stretching. Writing style. I REALLY noticed. The Grand Duchess and the Grand Duchess enter a room, and then the Grand Duchess leaves. When I wasn't tripping over all of the Katerina Alexandrovnas I was thoroughly confused with the over-used vague titles. If a story has more than one Grand Duchess or Grand Duke etc, then I don't recommend referring to all of them by their title instead of their name. That applies doubly when they're all present at the same time. This also really didn't help establish the characters as individuals, especially given their personalities were so sparsely developed. As if I wasn't already confused enough, editing inconsistencies threw me for a loop. At one point Katerina is wearing a ring on a necklace, but a few sentences later the ring has magically appeared on her finger! A character who knows nothing of the paranormal suddenly does! This sort of thing occurred a lot. Full disclosure though, I did read an ARC, so many of those inconsistencies may have been corrected in the final version. No. I am a little curious about the plot because there were some interesting bits there, but I don't think I could put up with Katerina much more. The writing and editing left too much to be desired and I'm not going to muddle through it again. That depends. Even if the writing improved, I still personally wouldn't like Katerina and the lack of realism. BUT, readers who enjoyed Jennifer Bradbury's Wrapped might not mind this at all. I had similar complaints about Agnes in Wrapped and I know a lot of people loved her and didn't mind the historical stretches. Do you have any questions about The Gathering Storm that I haven't addressed? Loved this review..The Dr.Quinn Medicine fan girl made me laugh.I have yet to see a rave review on this one. Having read such books as Anna Karena and Dr. Zhivago I can say I am not a big fan of Russian literature. I think I will pass. Thanks for your imsightful review. I am nothing if not a glutton for punishment. Even though this review has me cringing, I still want to give this one a go. However, I think I'll stick to the library instead of ponying up the dough. Ugh, how annoying. The MC, the writing and errors, the poor use of magic! I would absolutely not be able to get passed any of those flaws. I thought you had DNF-ed this but I can see why you were frustrated. 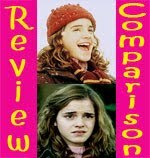 I really enjoyed Wrapped (more so than this) so I think your comparison there is apt. I DNFd this. Well, I haven't officially DNF'd it, but I think I'm going to. For the reasons you said. I thought the plot was too slow. But worst of all, I didn't believe Katrina. I don't believe that she wants to be a doctor - obviously she says it, but I don't feel it. I have no connection to the plot or characters. So disappointing. Hmm...I love Russian history, but I think I'm going to hold off on this one for now. I'm fairly certain the flaws you mentioned would get on my nerves as well. And yay for Dr. Quinn! I used to watch that show when I was younger...usually followed by Little House on the Prairie. Lol. I am so incredibly bummed about this one. I really wanted it to be good, but during the HFJ commotion, I didn't have time to be disappointed. Now that I'm reading your review, though, I realize how high my hopes had been. Le sigh. I've read several really bad reviews of this book and decided to DNF it. Katrina annoys me just from your review and I don't think I have the patience to read about her! Glad to know I didn't miss anything with this one. I DNF'd this one too and I rarely if ever DNF! I was really looking forward to reading this mainly because I love Russian history and have studied it, but it's confusing as hell, and this book made it even more so. The Russian setting fell flat. This book could have been set anywhere, and talk about overkill with the names, and the balls! It was just boring. I don't think I'm even going to review it, because I just said all I have to say here! Awww! And I was looking forward to reading this! But I too can't stand it when authors make their characters too damn stubborn just to make drama/action/whatever. It gets old, and the character gets annoying! I enjoyed this one, but didn't love it. I felt much the same way about Katerina as you did, and that's really what ruined this one for me. Personally? I would have enjoyed either a book about this Russian Society, or a book about Necromancy - but htis mesh didn't work for me. I liked this one more then you did, but I totally got what you were saying too. I didn't really notice editing errors so much, but I did get VERY tired of the titles. It was so confusing! And too many paranormal things, it was just overwhelming. I didn't love Katerina and I didn't really *feel* the time and place either. But I think I may give the second one a chance. Sorry you were disappointed though! I *did* like Wrapped, but I don't know about this one. I'm already a bit hesitant because I read the Lost Crown and THAT was kind of crazy with the naming situation. I guess I'll pick this one up eventually but not any time soon. Oh good! 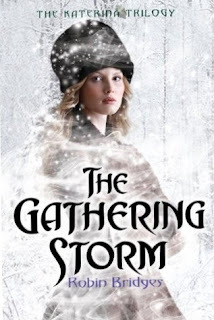 If you liked Wrapped, then I can see you liking The Gathering Storm! Katerina reminded me of Agnes. Heidi, Thank you! 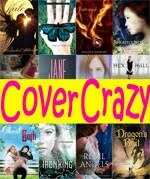 I’m always worried when I post reviews for books I didn’t love, especially with everything going on lately! Whenever there is any mention of women doctors anywhere and in any context, my first thought is always Dr. Quinn :P I’m mixed on Russian literature, but I love books about Russia (how many times can I read about the Romanovs? I still haven’t reached my limit!) I wouldn’t let the Russian parts turn you off to The Gathering Storm. I didn’t find it very “Russian” if that makes sense. Logan, We often disagree on books, so you should totally give it a try! Plus, I selfish and I want to know what you think so I want you to read it :P I’m always a proponent of the library! Aylee, Yes, I can imagine your review for this one :P I don’t think you’d be a fan. Bookworm1858, I so wanted to DNF, but I felt guilty because I had a print ARC and high hopes. Alison, Aw, too bad! I know you were really looking forward to this book. :( I’m on the exact same page with you about Katerina and the doctor thing. Natalie, haha YES! Between Dr. Quinn, Little House on the Prairie, and Oregon Trail, I was desperate to be a pioneer. What I wouldn’t have done for a Conestoga wagon. :P I think if you read the first few chapters you should have a good idea of where you stand on The Gathering Storm. Maybe see if you can get it from the library? I’m a little wary about how she’ll handle the actual history parts, because the main love interest, well, his reality doesn’t exactly line up with a HEA for Katerina. Rummanah, I have seen some reviews where people adore Katerina and this book, but, well, if you’re annoyed by her in my review description, then I don’t think you’d like this much. I couldn’t get past her, unfortunately. Leanna, I was wondering why you DNFed it! Seems like we are on the same page. The names were killing me. And, yes, I know many of the situations DID call for traditional use of first/patronymic, but of all of the bits of realism to include, THAT could have been omitted. I would have much rather a slightly less accurate use of “Katya” instead of having to trip through her first/middle name EVERY time someone spoke to her. It felt even more absurd since, like you said, it felt like it could have taken place anywhere. The balls were really getting to me too. Usually I love them, but it was hard to get into them when Katerina was bashing on them all the time. I was all “Yay a pretty dress!” and then I’d read a paragraph of Katerina complaining about the frivolity of caring about pretty dresses. What a buzz kill :( Plus, nothing happened at the balls! I agree, boring, boring, boring. Jac, Oh good, I’m glad you enjoyed this more than I did! I never thought about it before, but YES, I completely agree with you! I think a lot of my confusion and issues would have been helped if it had been either just about Russian Society or just about Necromancy. The mix of the two made the plot feel like it wandered too much, I think. Candace, I’m so happy you liked this more than I did. :) I had such high hopes for it. Maybe I read an earlier ARC? I’m not sure, I wish I had my copy so I could double check those scenes, but I took notes on them when I noticed the inconsistencies. Ah, good! I was worried I was the only one confused by all of those titles. Half the time I wasn’t sure who exactly was being talked about (which grand duchess???) :P I don’t mind lots of paranormal creatures, actually I love that, but the presentation of them here confused me a lot. I couldn’t keep them straight. I’ll keep an eye out for your thoughts on the second book, if you read it. I hope it is better! This is the first blog I've found that posted a 'negative' review. It was great to see your real opinion on the issues you found in the story. I hope I can convince my editors to get you an ARC ^_^ Keep up the great work! My review is scheduled to go up later this week, but I had no clue what was going on with the fantasy/paranormal elements either. They showed up, then disappeared, then reappeared ... it was just too much with no particular order to it. Oh whew. I was so worried everyone would *get it* but me :P I can’t wait to read your review. Oh, you said everything I thought about this book but more eloquently!! I didn't like Katherine either, and So true about the Duchess and Duchesses. Well, see, I told you I'd already read bad reviews of this book. I'm not even going to look at this one. I wanted to read it, but not after so many of you DNF'd it. And the name thing alone would drive me crazy! I loved the Romanovs and their unfortunate history. I thought it would be a nice twist to have a necromancer raise them from the dead. But I don't think Katerina has the mind for it from what I'm reading. Too bad. That's what kind of story I was hoping for-a change in history!! Small- Your points were well proven,(and seconded and thirded) and not mean spirited at all. And it was your OPINION for any authors that may have a problem with that. I love your idea! I didn’t even think of that, but a necromancer bringing back the Romanovs would be a lot of fun! This takes place earlier than that time though. Anastasia isn’t born yet, and her parents are teenagers just beginning to court one another. But, even if it were set in that time, you’re right, I don’t think Katerina would have been able to manage a resurrection. lol, I think I'm the only person who actually liked this book. Like I said before, I was totally biased (I do love me some Romanovs), but I completely understand where you're coming from. I read a finished copy, but even then I still noticed some errors (particularly in regards to that ring!). I wholeheartedly agree. The nicknames confused me a bit too. I'm still not entirely sure how I feel about the supernatural elements - it felt like there were so many thrown in just for the sake of having ~magical creatures~ without any solid explanation as to why they were there. Despite our differing opinions I love this review! :D & Dr. Quinn was, is, and always will be fantastic. Oh, yes, that ring did get around a lot, didn’t it? :) I had to go back and reread that again to make sure it wasn’t my error. I agree about the supernatural elements. I wish there had been more explanation about them. I love that kind of in depth world building that could have been there (like in Harry Potter! ), but it just wasn’t explained well enough for me. The magical creatures used here also had so much potential. The different types of vampires was a really interesting premise. LOL! I loved Dr. Quinn! You made me giggle! I'm always so optimistic when I see a book set in Russia because there's something romantic about snow and furs and tsars and ballet and missing princesses... but it looks like I'll be skipping this one. I really can't stand magic without logic. And unlikable protagonists... ugh. Thanks for an honest and thorough review! :D I am a gigantic Dr. Quinn fan! I really enjoyed Wrapped much more than I originally thought I would.